Hostal Costa Azul is set in Granada’s historic centre, 5 minutes' walk from the Cathedral and within the Realejo-San Matias district. The Alhambra can be reached in 15 minutes by foot. 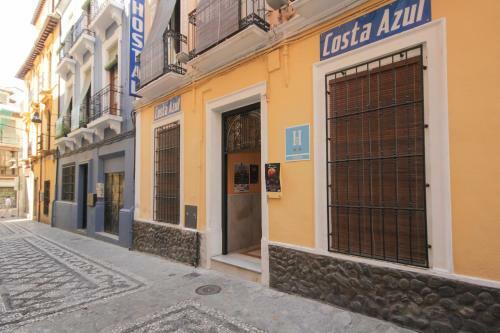 Housed in a 19th-century building, Hostal Costa Azul is located just 50 metres from Plaza del Carmen and the City Hall. Typical of the region, it is built around a courtyard with a central fountain surrounded by flowers, a wisteria plant and original ‘azulejo’ tiles - ideal for escaping the summer heat. From this small, family-run hotel you can easily walk to Plaza Nueva and the charming, whitewashed Albaicín district, or climb the wooded hillside to the imposing Alhambra Palace. In the other direction you will soon find the Cathedral and chic shopping streets of the city centre. This hotel is 1116 metres from the Alhambra entrance, 430 metres from Plaza Nueva (the absolute centre of Granada), 1810 metres from the train station and 3338 metres from the bus station. Pensión Suecia is in Granada, at the foot of Assabica Hill, where the Alhambra sits. It offers free Wi-Fi and a terrace with views of the Sierra Nevada Mountains. Hostal La Redonda is located in Granada city centre, less than 10 minutes’ walk from the historic town and Granada’s Cathedral. It offers air-conditioned rooms and a 24-hour reception. This hotel is 1982 metres from the Alhambra entrance, 1094 metres from Plaza Nueva (the absolute centre of Granada), 1573 metres from the train station and 3251 metres from the bus station. This hotel is 1120 metres from the Alhambra entrance, 427 metres from Plaza Nueva (the absolute centre of Granada), 1804 metres from the train station and 3332 metres from the bus station. 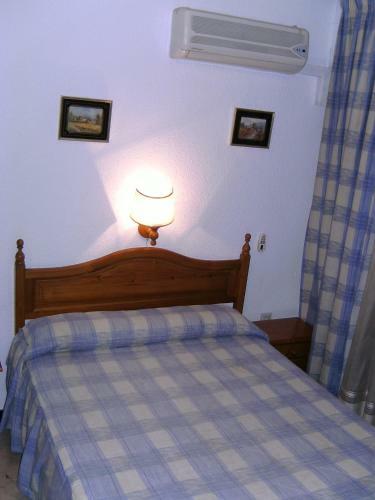 Pension Eurosol offers good value accommodation 15 minutes' walk from Granada Railway Station. All of its air-conditioned rooms have satellite TV, and there is a free WiFi area. This hotel is 2544 metres from the Alhambra entrance, 1439 metres from Plaza Nueva (the absolute centre of Granada), 513 metres from the train station and 2169 metres from the bus station. 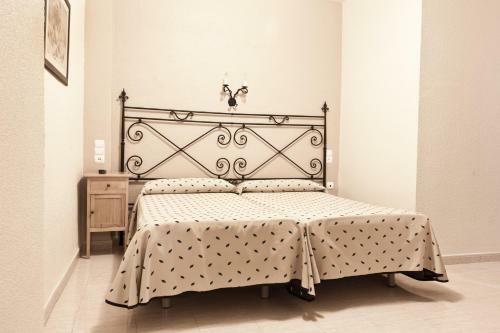 Located in the Centro area, this hostel is within a short walk of the Monastery of Saint Jerome. The Hospederia El Zaguan offers a convenient 24-hour reception as well as a tour desk, a ticket service and luggage storage. Non-smoking rooms are available on request. The Hospederia El Zaguan's neighbourhood offers plenty of nightlife and you'll be spoilt for choice when it comes to dining and bar options. 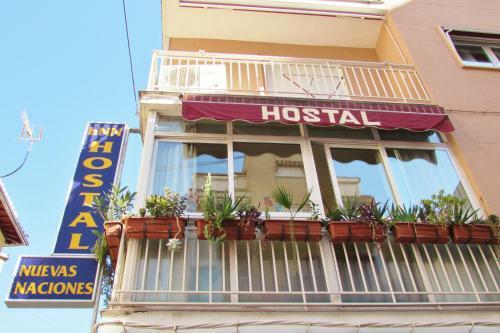 Located close to a number of popular hot spots, the hostel is near lots of bars, nightclubs and fashionable restaurants. Granada Cathedral, Royal Chapel of Granada and the Madrasah of Granada are within a short 10 minute walk of the hostel. This hotel is 1752 metres from the Alhambra entrance, 716 metres from Plaza Nueva (the absolute centre of Granada), 885 metres from the train station and 2286 metres from the bus station. 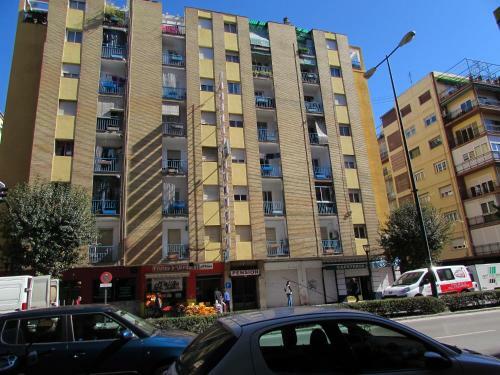 This Centro hostel is situated in an area popular with tourists and is not far from the Monastery of Saint Jerome, Royal Chapel of Granada and the Madrasah of Granada. 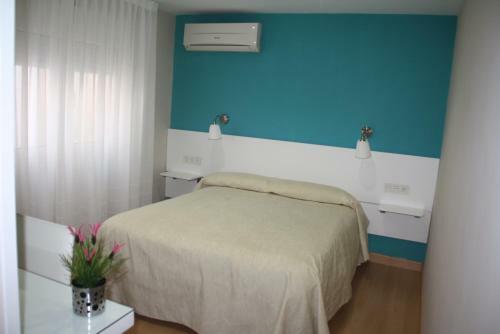 The Hostal Castil Granada provides a number of facilities including multilingual staff, a concierge and massage services. The hostel also offers a tour desk, a ticket service and excursions. Guests can stay connected with the hostel's standard Wi-Fi access. 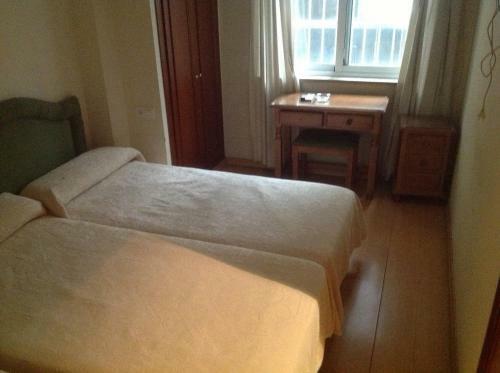 The Hostal Castil Granada has 7 rooms, each equipped with a hair dryer. For your comfort, non-smoking rooms are available on request. The Hostal Castil Granada's district is known for its nightlife and you'll be spoilt for choice deciding on which place to go. Situated close to a range of popular hot spots, the hostel is near a number of bars, nightclubs and quality places to eat. An airport shuttle operates from the hostel. This hotel is 1494 metres from the Alhambra entrance, 532 metres from Plaza Nueva (the absolute centre of Granada), 1475 metres from the train station and 3073 metres from the bus station. 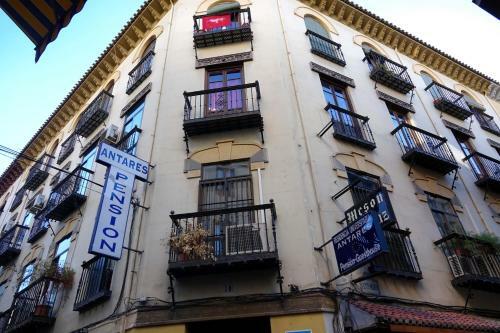 Situated just 500 metres from Granada Cathedral, Hostal Veronica is surrounded by the city’s main shopping streets. It offers air-conditioned rooms with free Wi-Fi and a flat-screen TV. This hotel is 1585 metres from the Alhambra entrance, 677 metres from Plaza Nueva (the absolute centre of Granada), 1534 metres from the train station and 3162 metres from the bus station. 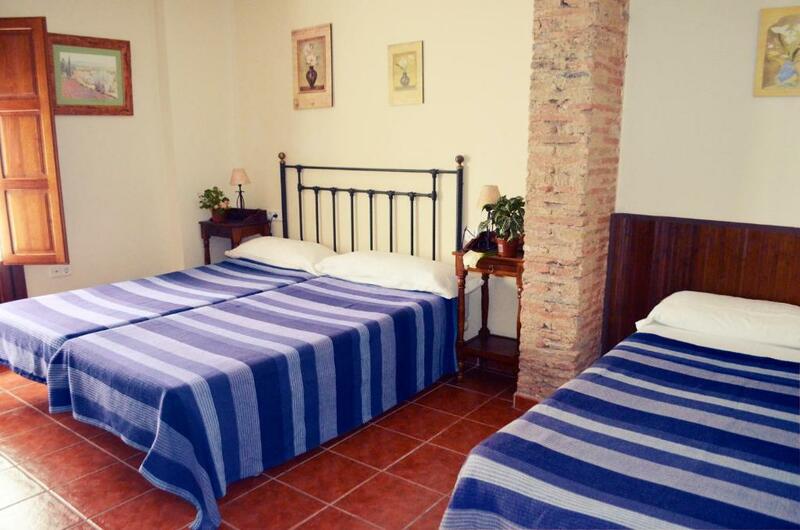 Hostal Verona is a family-run guesthouse in central Granada, 500 metres from Granada Cathedral and 15 minutes’ walk from the Alhambra. It offers on-site paid parking and rooms with free WiFi. This hotel is 1546 metres from the Alhambra entrance, 678 metres from Plaza Nueva (the absolute centre of Granada), 1598 metres from the train station and 3221 metres from the bus station.